Information submitted in a nomination letter to the U.S. National Ski Hall of Fame by Fritz Schmidt. During his lifetime commitment to skiing, John Woodward has uniquely qualified doubly as a distinguished American skisport builder and as a nationally accomplished and recognized athlete in the skiing world. Few individuals have stood out for so long and so consistently in both aspects of skiing. John Woodward’s early childhood ventures in Iowa – on skis with leather straps for bindings and melted paraffin for waxing – held little promise of John becoming the mountain man that was his destiny. In 1929, his family moved to the Pacific Northwest and his real skiing experience began. Racing began with the first Silver Skis and a 4,700-foot vertical drop on Mt. Rainier; in 1935, he finished fifth in the Olympic tryouts at that location. After entering the University of Washington and joining its ski team, he won distinction as the Pacific Northwest Intercollegiate champion at Yosemite in 1936. As a skisport builder, he began by operating the ski shop for the Bon Marche Department Store, one of the first such shops in Seattle and teaching skills for a club at Snoqualmie Pass. The imminence of World War II saw the development of his military skiing career, marked by many responsible assignments that ultimately made a major contribution essential to the building of American skisport. He was a leader of the first ski patrol of the 15th Infantry at Fort Lewis, presaging the formation of the first units of the 10th Mountain Division. He led patrols into remote areas of the Olympic peninsula and along the wilderness crest of the Cascades to test early military ski and winter weather gear, improving and strengthening it. He commanded the squad detachment that made the army’s first ski training film at Sun Valley, Idaho under the direction of Hollywood’s (and skiing’s) Otto Lang. The army ordered John Jay, ski lecture film maker, to report to Woodward to aid in his work. The head of the squad, Sgt. Walter Prager, had recently been the top F.I.S. skier in the world, beaten in the 1936 Olympics by Austria’s Friedl Pfeifer, who also came under Woodward’s command as a private in June, 1943. John Woodward commanded the first mountain training center detachment in preparation for the opening of the mountain training center at Camp Hale and he was ordered to direct all ski instruction for the new 10th Mountain Division at Hale. In this command, he was responsible for standards used to train hundreds of instructors, more than existed in all the United States in 1940. In retrospect, it can be seen that his work resulted in thousands of men developing some competence and real interest in skiing – which carried over after their military service. This achieved an unprecedented, major impact in skisport building, documented in the movie, Fire on the Mountain and in numerous authoritative periodicals. From 1945 until his retirement in 1975, John Woodward was constantly active in skisport building. He conducted the Seattle Time ski racing school at Snoqualmie and he ran the University of Washington ski area at Stevens Pass, as well as the University’s physical education ski program. For ten years, he managed the ski shop and sporting goods section for the University of Washington Book Store. He persuaded Sam Roffe to make the first stretch ski pants manufactured in America. In 1950, John began his twenty successful years as a partner in the Anderson and Thompson Ski Company of Seattle; makers, importers and distributors of prominent skis and equipment. He established a patent on the first flexible heel release binding. He edited and published Ski World Magazine owned by A&T Ski Co. John and his partners at A&T were early supporters of the U.S. ski teams and John personally was a big supporter of Ski Industries America. Upon retirement from the ski business, John revived his career in competitive skiing and what came before was prelude to distinction as a senior athlete in the skiing world. In the 1988 F.I.S. International Masters Ski Race in Big Valley, Idaho, he finished with two firsts in slalom and two firsts in giant slalom. At the National Master Race in Big Sky, he finished second in slalom and third in giant slalom. Subsequently, he was the Masters Champion of alpine skiing in his age class in 1989 at Mt. Bachelor in Oregon; 1991 at Vail, Colorado; silver medalist in 1994 at Big Sky, Montana; gold again in 1996 at Sugar Loaf, Maine and gold in 1997 at Breckenridge, Colorado. In 2001 at the World Championships Masters in Park City, Utah, John earned gold medals in the Super G, GS and slalom. At the National Championship at Sun Valley there were gold in G and slalom and silver in GS. At the 2002 National Championship in Winter Park, Colorado, it was gold in super G, GS and slalom. At the 2003 F.I.S. International Cup, it was gold in Super G, GS and slalom in Vail Colorado. At the National Championship at Park City, Utah, it was three silver medals. At the April, 2004 National Championship in Aspen, Colorado, he earned one gold in the Super G and silver in GS and slalom. In 2005, at the age of 96, John still plans to enter national competition. 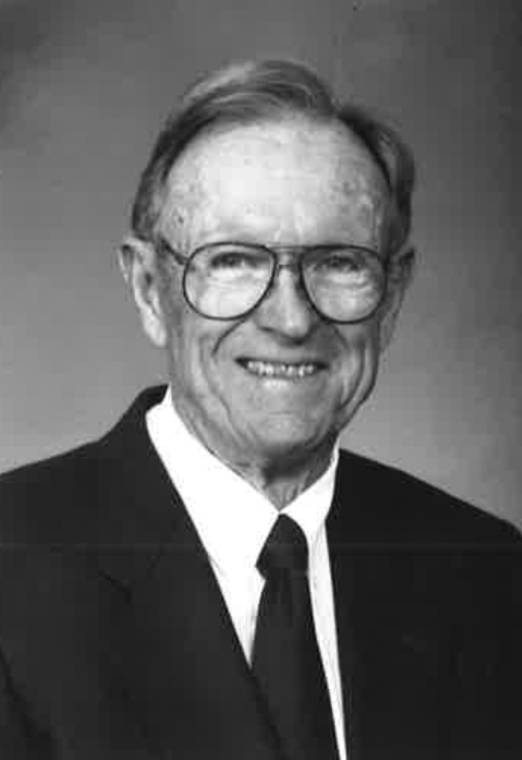 John Woodward was elected to the U.S. National Ski Hall of Fame in 1998. If you notice any errors or inconsistencies in John Woodward's bio, click here to let us know.